The Trois Dot Clip is brand new + sweet as pie. 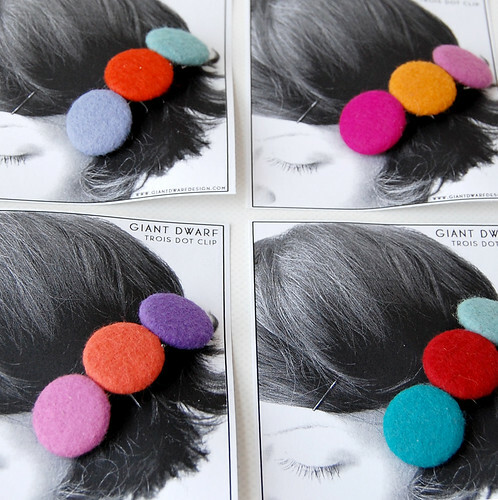 Each barrette is made from 3 hand-covered felted buttons that are attached to a French clip. 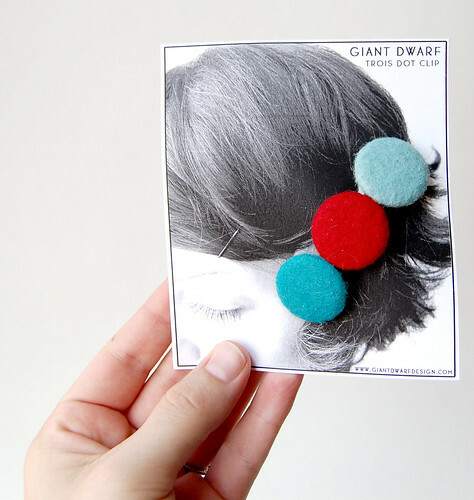 They are a simple pop of color for your hair, worthy of a double-take. Here's the package design to accompany the clips. Uh huh, it's the same photo as above with the clip attached. 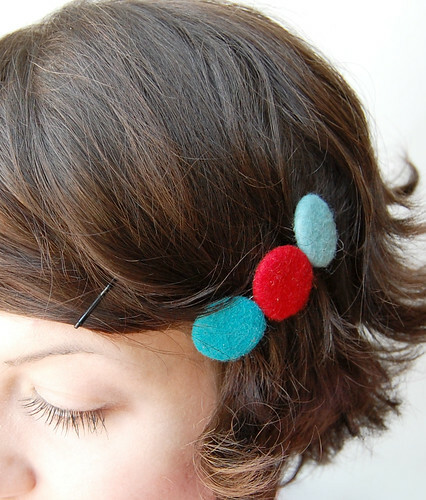 I'll have lots of Trois Dot Clips available soon in super fun color combinations. Stay tuned! these are awesome! i LOVE that idea of clipping it to the photo- i'm working on some hair clip/brooch/shoe clip pieces for my mother in law's boutique in back in Texas and i wanted to somehow incorporate a photo for the potential customer to view them in action- this is such a perfect way to do it!!! !